Porsche's are not too uncommon to see on the road. Even this owner has 3 Porsche's in his driveway, alone. 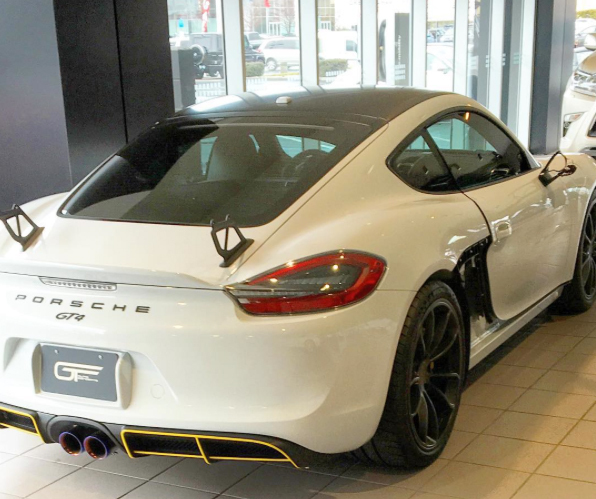 Ever since the release of the Cayman GT4, there's been a bit more exclusivity within the Porsche brand, but it's not hard to see why David would want to make his GT4 different from the others to make it that much more special in traffic or when parked next to his 991 GT3 and Cayenne GTS. David reached out to me to render some different design options for his ride which would ultimately be built by GT Auto Concepts located in northern California, not too far from his workplace at Apple. David had a lot of great initial ideas that we teamed up to improve upon to create what you see in the renderings, and what now is the final product. 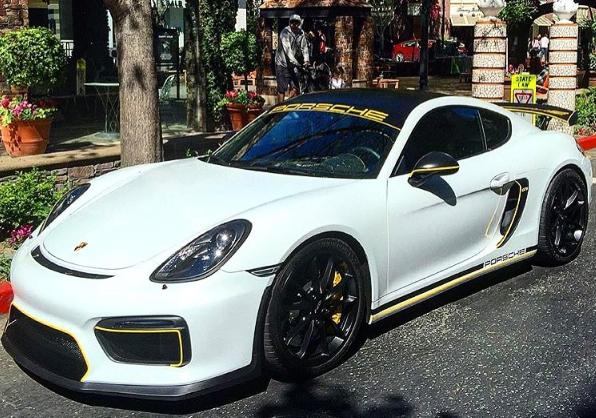 Starting with the white base color, every dramatic element of the GT4's design has been complimented by subtle yellow pin striping and tasteful Porsche logos on the sides underneath the intakes, front windshield, and on either side of the massive spoiler (read the 'FUN FACT' at the bottom of this post about that spoiler). 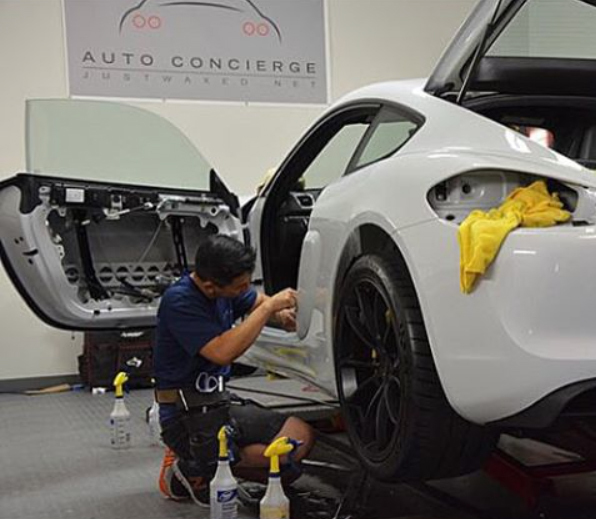 David requested that the renderings showcase a set of HRE P101 wheels finished in matte black, which have since been custom made specifically for this car. To tie in some more matte black elements, the side mirrors, roof, and rear spoiler were wrapped in matte black vinyl for that extra bit of contrast. 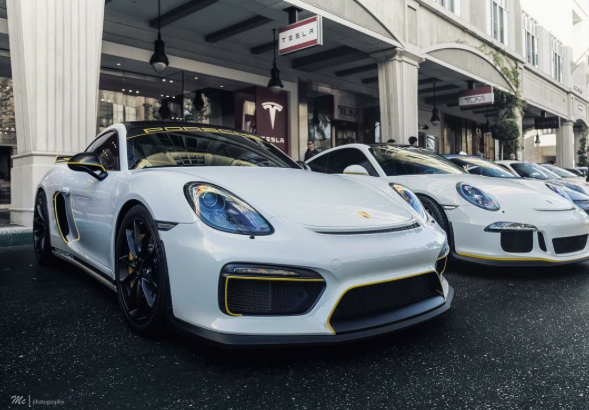 Mix this all together and you have one totally custom GT4 that looks like it could possibly come straight out of the factory as a special edition. David was so impressed by the success of the rendering and design process so much that he later commissioned me to help design his 991 GT3, and even spec out designs for both a Ferrari 488 Spyder and Lamborghini Huracan Spyder. Stay tuned for what we came up with! 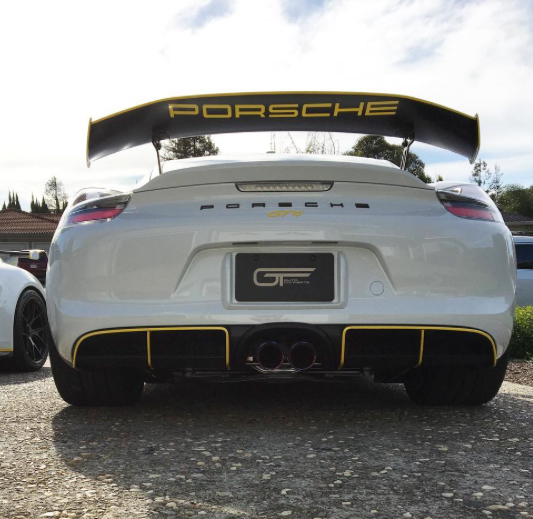 The vertical side blades on each side of the massive rear spoiler are not held on by any bolts, but instead are attached with a very strong adhesive developed by Porsche. Both GT Auto Concepts, nor Porsche themselves wanted to attempt to remove them for the sake of customization for fear of ruining the spoiler. 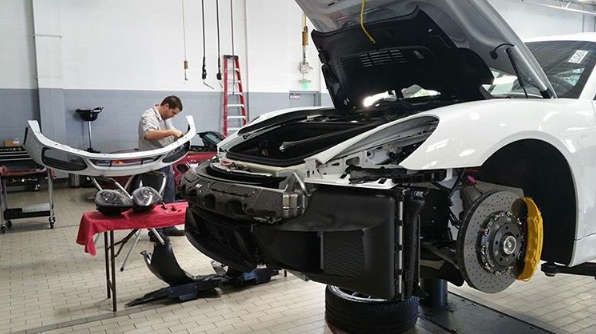 In the end, the side blades were carefully removed and reattached safely, but it just goes to show that this owner will do whatever it takes to make his GT4 unlike any other.